Lewis Gilbert, director of three James Bond movies, celebrated his 97th birthday on March 6. Among 007 film creators (and we’re talking behind the camera) who worked on multiple Bond films, he may be the one who enjoyed the longest life. Oswald Morris, who was co-director of photography for The Man With the Golden Gun (for interior scenes only) lived to be 98. Lewis Gilbert (director, three films): 97 and counting. John Glen: (director, five films): 84 and counting. The publication says articles in the issue include new interviews with Gilbert, 95, and Ken Adam, 94, who was production designer on all three movies. 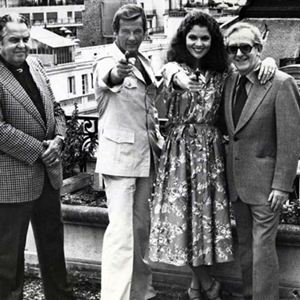 Gilbert’s three 007 films were spectacles, which included massive sets and big action sequences. 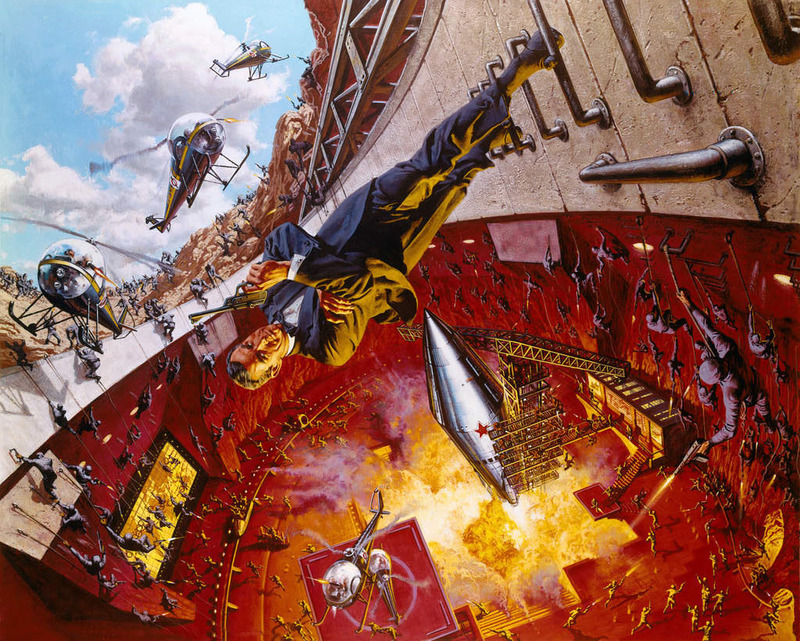 Adam designed, among other things, SPECTRE’s volcano headquarters in Twice, a tanker that could capture submarines in Spy and an orbiting space station in Moonraker. 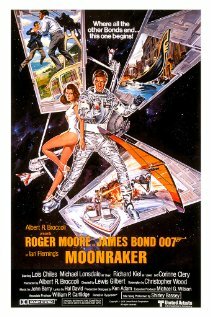 Issue 30 of the publication also includes an article on Richard Kiel (1939-2014), who played henchman Jaws in Spy and Moonraker, and a story about the poster artwork of Robert McGinnis. 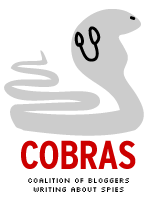 For information about ordering, CLICK HERE. The price is 7 British pounds, $11 or 8.50 euros. Bond collector Gary Firuta forwarded the following trade advertisement dated May 1975 in a publication called Cinema TV Today. It’s for The Spy Who Loved Me. Of interest is that Harry Saltzman is still onboard at Eon Productions along with Albert R. Broccoli. Both are listed as presenting the movie. Also, at the time of the advertisement, Guy Hamilton was still slated to be director — with a 1976 release date. 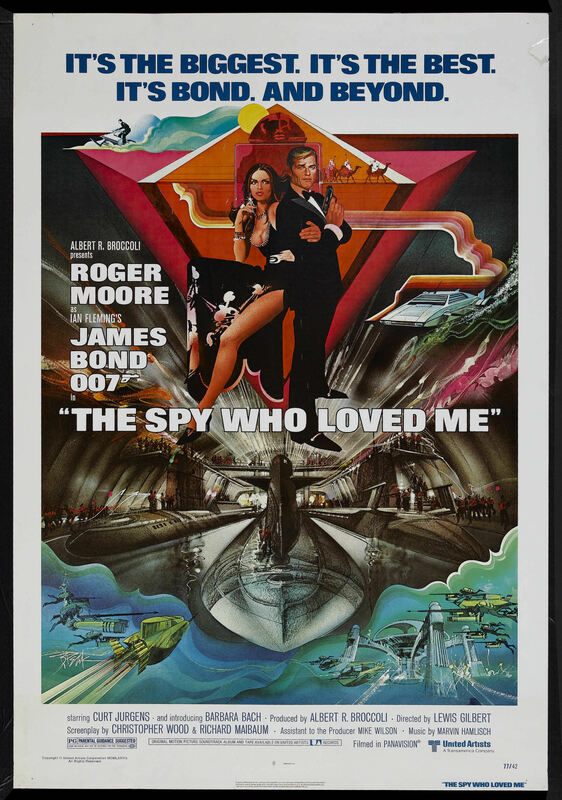 Finally, in the 1975 ad, it says, “Ian Fleming’s The Spy Who Loved Me.” In the film, it said Roger Moore was playing “Ian Fleming’s James Bond 007 in The Spy Who Loved Me.” The final film with “Ian Fleming’s” affixed to the title was Moonraker. There would be many twists and turns between this advertisement and the release of the movie in the summer of 1977. The biggest twist would be Saltzman’s exit from Eon, selling out his interest to United Artists, a development that still affects the franchise today. 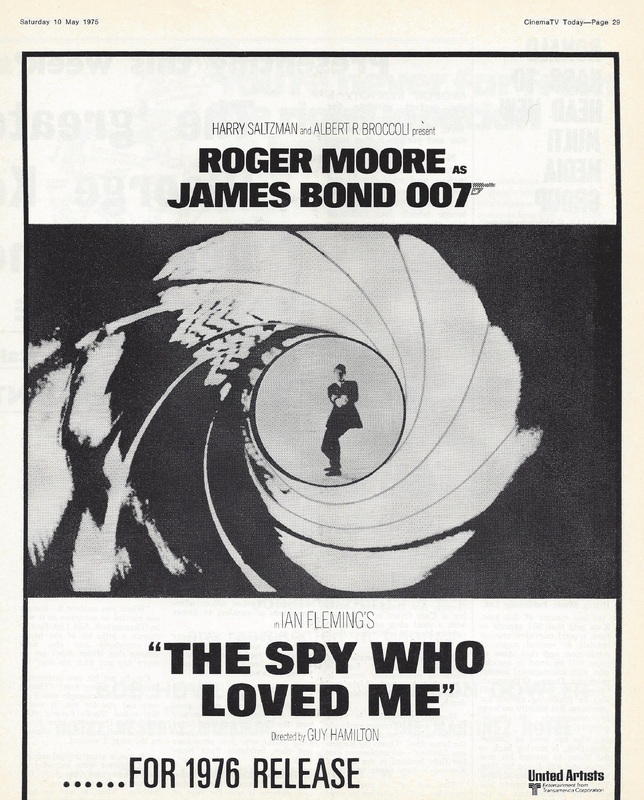 Metro-Goldwyn-Mayer picked up UA’s interest in 007 when it acquired UA in 1981. Hamilton would also exit the project, to be replaced by Lewis Gilbert. 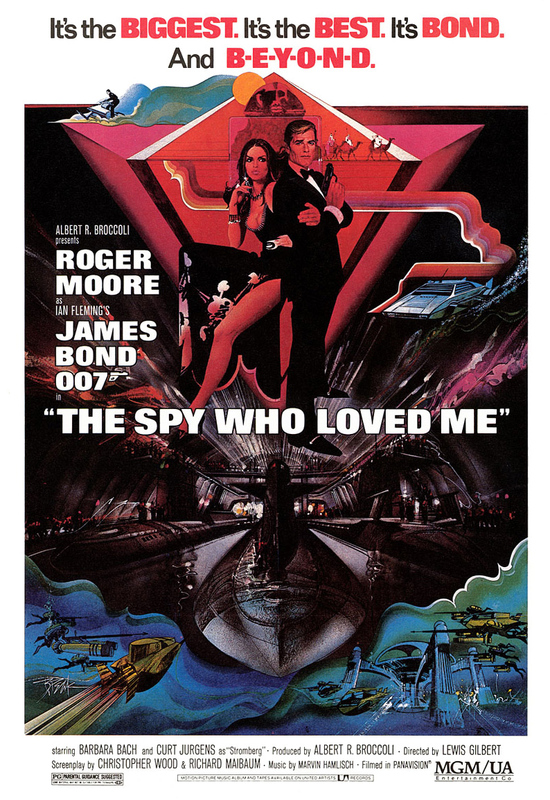 UPDATE: Back in September 2011, we had a post about THE ORIGINAL POSTER for The Spy Who Loved Me and how it differed from the final version.